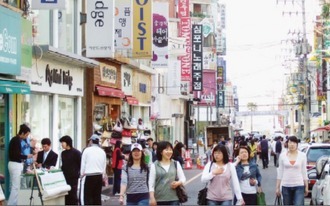 Tap-dong-ro (Tap-dong Street) is the main tourist area of Jeju City, running near the boardwalk from Jeju Port. Many of the larger and more expensive tourist hotels are located here. 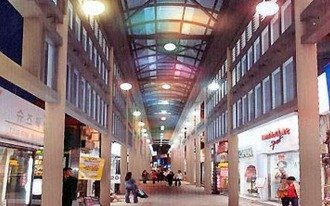 Because of the number of fresh fish restaurants, it is also called “Haechip Street.” The area is popular among college students and newlyweds to shop clothes.